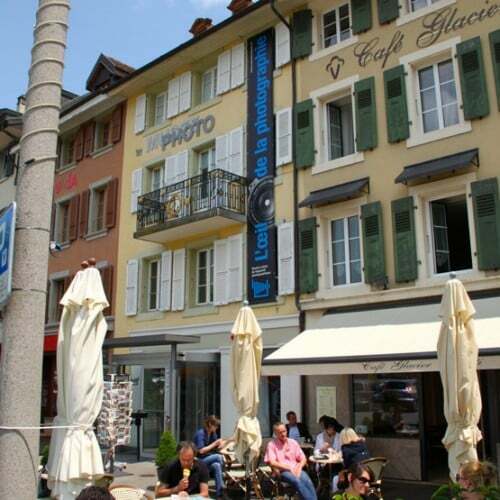 The Swiss Camera Museum in Vevey covers photography and equipment from the camera obscura to the digital age. 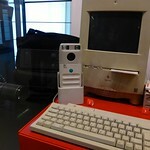 The Swiss Camera Museum on Grand Place in Vevey is a surprisingly interesting and entertaining museum. The museum covers photography from its inception to the modern digital age. It has a vast display of historic cameras and photography-related equipment, photographs, and interactive activities. Visitors with even just a passing interest in cameras and photography will find much to enjoy. The Musée suisse de l’appareil photographique (Swiss Museum of Photographic Equipment) in Vevey explains the history and development of photography with a vast collection of historic photographic apparatus and photos. The permanent collection covers the origins of photography, the laterna magica, the era of plates, a century of film, and the digital revolution. The origins of photography section starts with the camera obscura – already known to Aristotle in the fourth century BC but only explained by Leonardo da Vinci around two thousand years later. The contributions of numerous scientists and pioneers are also explained and how their experiments, inventions, and discoveries later made photography possible. A large collection of laterna magica equipment and interactive displays show what entertained people during the nineteenth century. Huge cameras using plates, and other historic equipment illustrate the pre-film era. Interactive displays here include how a flashing light can leave lasting imprints of shadows. The century of film shows how film and smaller cameras brought photography to the masses. Items on display include early cameras, Kodak’s “you press the button, we do the rest” box camera, the Leica 24X36 mm camera from 1925 that made 35-mm film popular, and of course the SLR cameras produces by Japanese manufacturers such as Canon and Nikon. 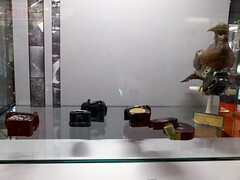 Several unique cameras are on display, including small cameras fitted to homing pigeons in the early twentieth century to produce the first aerial photos. Ingenuity is also demonstrated in a vitrine with spy cameras from the pre-micro film and pre-digital age. The digital revolution started slowly. In 1975, Steven J Sasson of Kodak built the first digital camera, presented it to management in 1977, and received a patent late in 1978. The revolution took around a decade to get moving: the first fully digital camera only went on sale in 1990 – the Fotoman by the Swiss firm Logitec. The rest is (contemporary) history. Temporary exhibitions – mainly photos from specific photographers or special themes – enhance the permanent collection. Naturally, many photos are on display and tablets allow visitors to see many more photos taken by specific cameras or using different techniques. The Swiss Camera Museum is on Grand Place on the waterfront of Vevey near Montreux on Lake Geneva. The museum is open Tuesday to Sunday from 11 am to 5:30 pm. Admission is CHF8, free for under 16. The Swiss Museum Pass is valid. All descriptions in the museum are in French but a free audio guide in English or German (but not French) explains most displays in great detail.